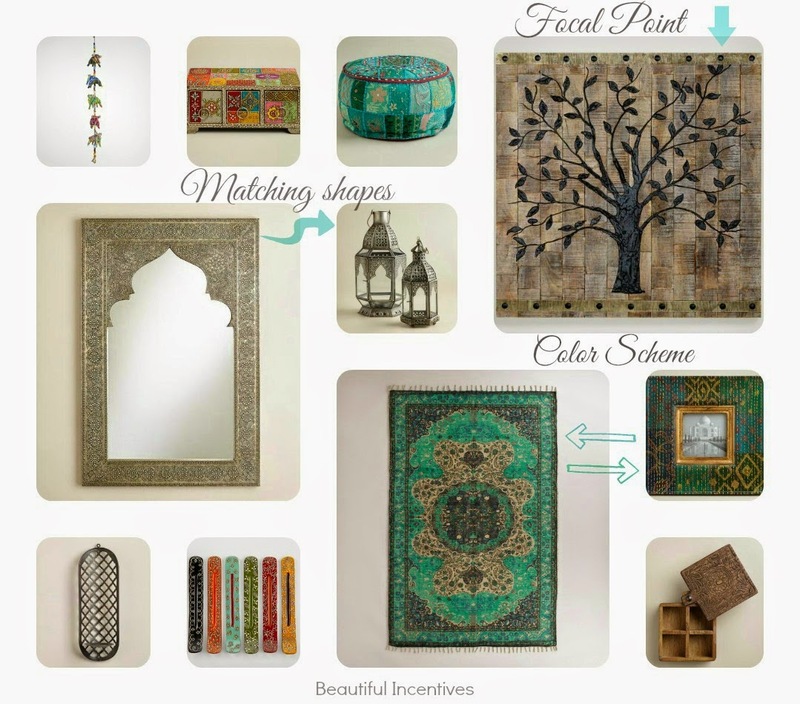 Beautiful Incentives: 3 steps to achieve an Indian decor theme on a budget. Plus, a new Movie and Giveaway! 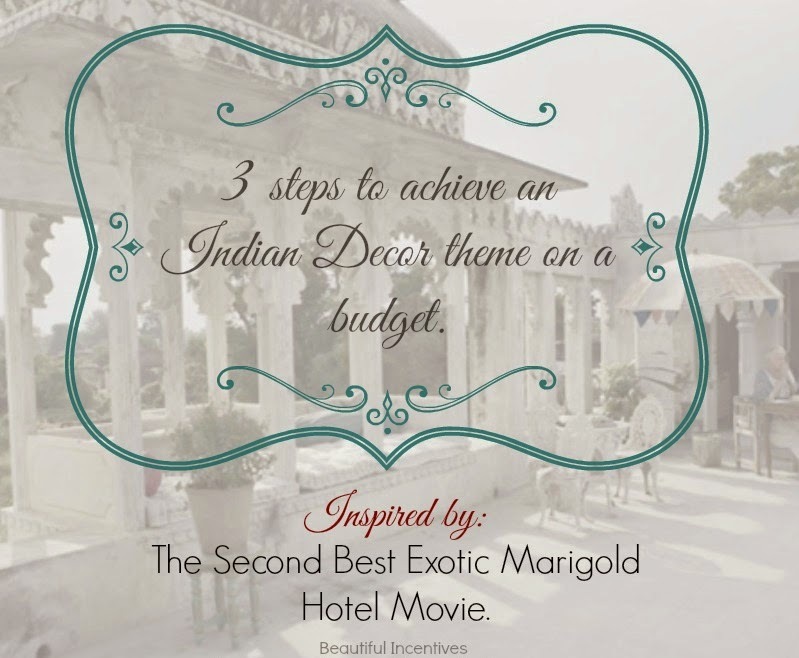 3 steps to achieve an Indian decor theme on a budget. Plus, a new Movie and Giveaway! Big thank you to World Market for sponsoring this discussion. The culture of India is something I have always adored. Indian Food and Indian decor are so creative and colorful in their executions. I have been a huge fan of tapestry art as far as I can remember. It's exciting to be able to project that adoration with World Market, through this article. And as always, they have an awesome giveaway to top it off! 1. Pick a color scheme for your living room. Peruse the Indian decor and focus on the color you want to hone in on. We are focusing on the living room this time. Indian decor is all about earthy, bold and ornate. Start out neutral with beige's and woods. Or if you are desiring less earthy, start out with silver or gold toned. Once the base colors are chosen, then your pick your main color scheme. Shown on the dream board is a beautiful teal blue green. Look for products that have other colors, but also contain the ones you are focusing on. You don't want everything too matchy matchy. Once you have your favorite color in mind, everything flows so easy and comes together nicely. 2. Decide on a Focal point or 2. Think big and think tall. Decide on a focal point that rings in the Indian theme. Indian decor is colorful and ornate, but also big and tall. The goal is to pick something that stands out the most that will capture the visitor's eye right away. This is usually something above and/or in front of them. For example, an Indian Inspired mirror or a set of 3 large sconces that will face the visitor as soon as they enter the room. 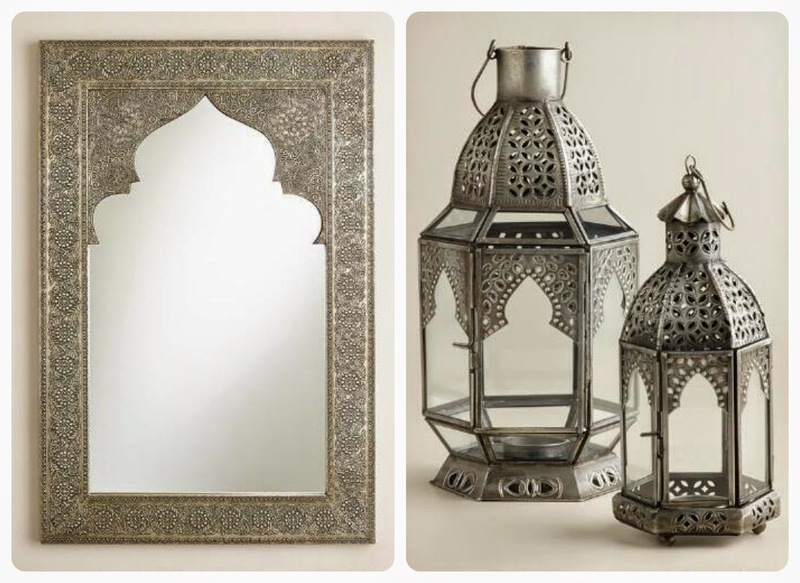 Hang gorgeous lanterns so that when they walk in, it's the first thing they see. A large Indian designed rug is also something that will be noticed really quick. These are great when set under a table in the middle of everything. Picking two focal points like a painting and a rug are even better to make the theme stand out. 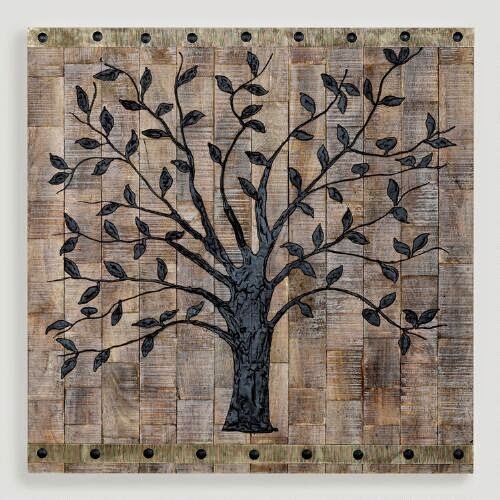 This amazing Tree of Life Wall Decor is perfect for a focal point and you can use this to inspire you to find wooden accessories for a more earthy Indian theme. You will spend the most on your focal point/s. When you focus on one or two large objects, make sure that all things will coordinate well, but don't be afraid to mix patterns and colors! Depending on your budget and living room size, the more focal points, the more your theme will stand out! 3. Tie in the smaller coordinating accessories. This is what will bring the whole room together. Look for cute accessories with bold colors that will catch the eye. Incents are not just for dorm rooms! If you like incents, those really help to make the Indian theme stand out and are so cheap. 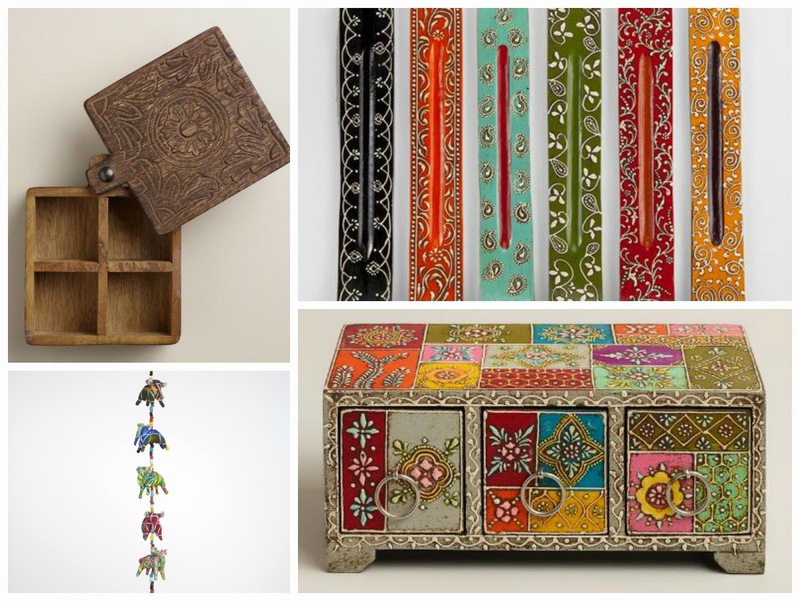 Mix a cute hand carved or painted wooden box or two and rectangular incent holders, along with a beautiful Indian inspired picture frame. Fabric frames with bold colors are gorgeous. Animals like elephants and Patchwork design in bold coloring are very popular in India. Displaying accessories together in little groups stand out much more than alone. Arranging the accessories from brightest to lightest and tallest to shortest are a great way to draw the eye toward them. Match patterns as well as colors. Have your accessories mimic your bigger focal points. Take for instance, this beautiful Indian inspired mirror above. The lanterns to the right nearly clone the shape of it. Hang these up high a few feet from the mirror or set them up on a table. The eyes will be drawn all around the room. This can also eliminate the need for another large focal point. My favorite look is mixing earthy wooden neutrals with a bold color like this blue green teal, as shown in the look board above. If you don't want it as earthy, use the same items, but replace the Focal point Wall Decor with the large mirror or 3 sconces instead. Or if you have a larger living room, you could incorporate both focal points just fine. The large tree of life painting would be my main focal point for my small living room. I would put the bold teal medium rug in front of the door to the porch and have the teal patchwork ottoman in front of the couch across from it. The eyes will flow across the room nicely that way. Then I would have the coordinating colorful wooden boxes, fabric and some incent holders set in a group on the end tables next to my couch. On the other side of the room, I would have the Mirror and the matching lanterns on a table not far from it on the same side. The fabric elephant hanging would go in a corner on the ceiling. Or for something different, you could use it as a fan pull in the center of the room! Whichever look you decide on, giving your living room an Indian theme is lots of fun and so easy to do for an affordable price! You are only spending the bulk of it on your focal point item. The rest comes very cheap! 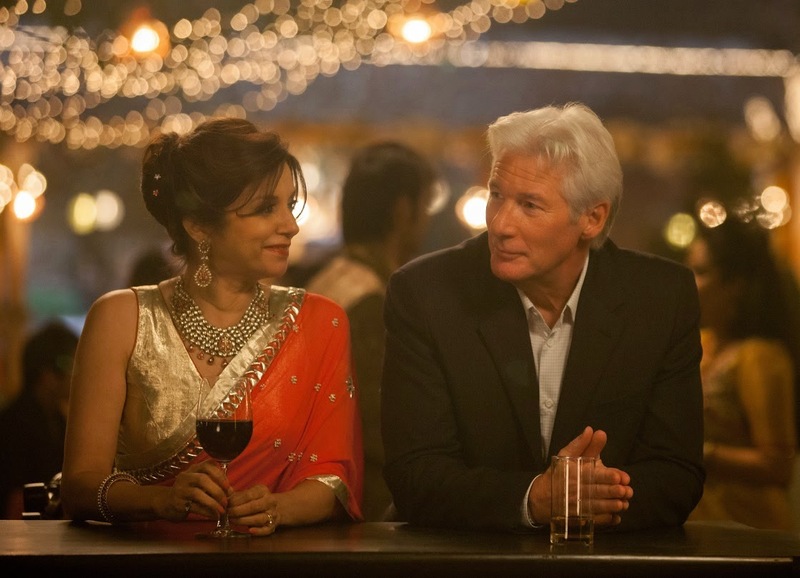 The Second best Exotic Marigold Hotel movie. This vision board was inspired by the awesome looking new movie that just came out last week. Expect lots of drama, dancing and beautiful Indian architecture and cinematography in this movie! It has one of my favorite actors, Richard Gere and several other amazing actors. 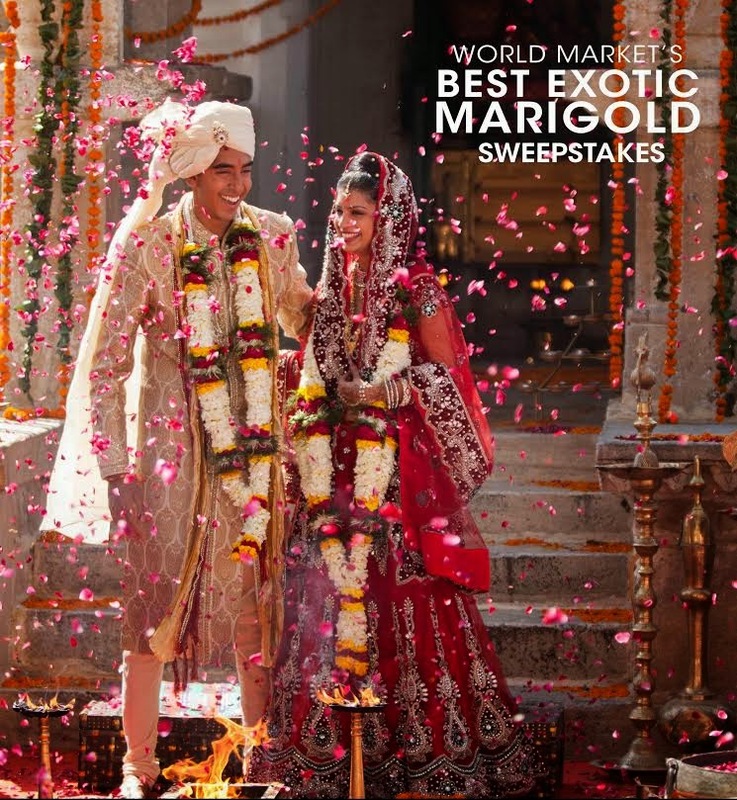 Enter at www.worldmarketsweepstakes.com for a chance to win a DREAM trip to India, FREE movies for a year and a $1,000 World Market Gift Card!!! 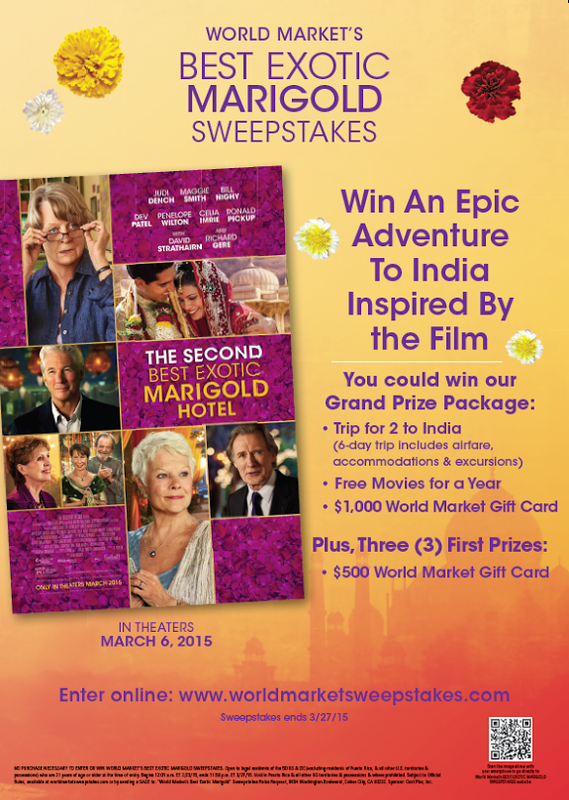 Ends 3/27/15.